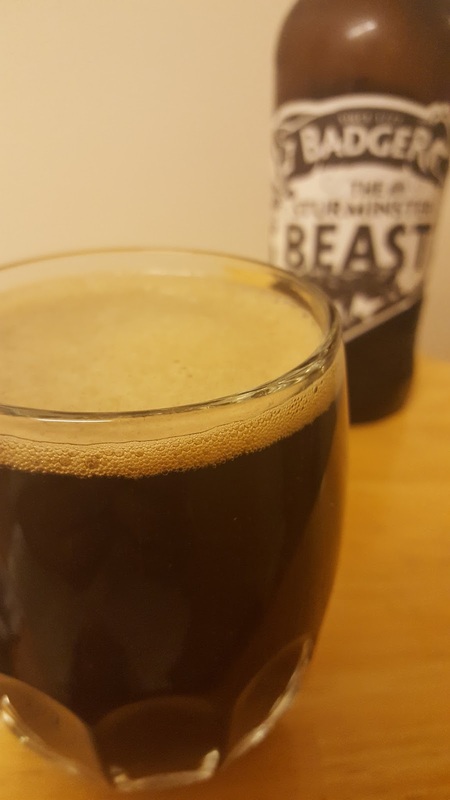 As the nights draw in and it starts to get a bit chillier (I write this while quivering on the sofa under 2 blankets) I start to crave darker, meatier beers which pack a punch and give me that warm and cosy feeling. Enter The Sturminster Beast. 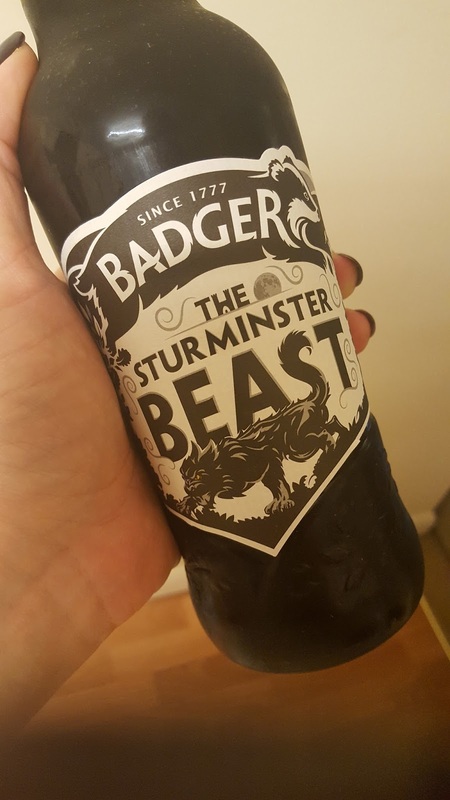 No, not the well known Dorset stripper, but the imperial stout which also happens to be Badger Ales’ 2016 limited edition beer. That’s right, limited edition! 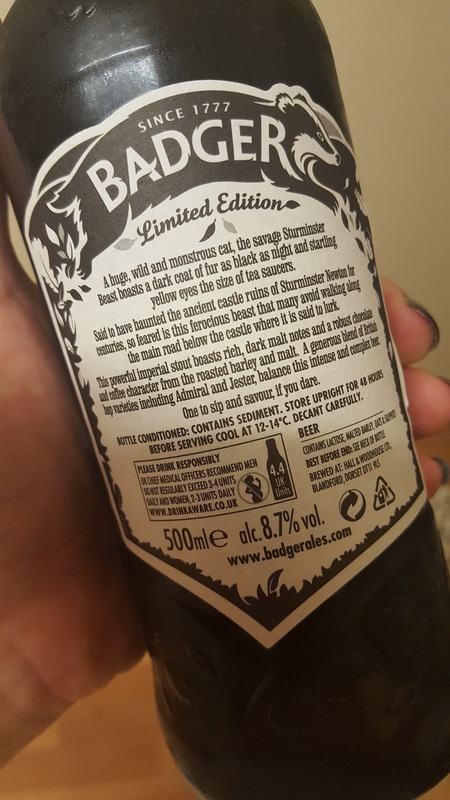 Each year, Badger Ales brew a beer with only one batch ever made and that can only be bought directly through them. So to quaff this on my sofa is quite a coup. That’s all well and good, but I’m an impatient woman (which is why I’m much better at drinking beer than brewing it) so this was always going to get instantly cracked. As expected, the pour was jet black with a small light beige head, but the aroma- oh, the aroma! All my favourites smooshed together to create a mocha with 8 extra shots and a hit of liquorice. Just lovely. The first sip of this 8.7% beer was a bit of an assault on the tongue, but as it warmed and my taste buds grew accustomed to it with every sip came something new; cherries dipped in brandy, roasted chestnuts, burnt fruits. I’m not sure if you’re getting this, but I really liked this beer. It will definitely be interesting to see how this beer evolves over time. If you do manage to get your hands on some, make sure you get an extra bottle to stick in the cupboard; I bet it goes really well with a Christmas pud or just an entire box of Celebrations (but not the Bounties; never the Bounties).